If you’ve ever had the opportunity to mountain bike with a group of women, you might guess what happens when 140 women mountain bikers from all over the US and Canada gather together. If you’re imagining something mind-blowingly inspirational, educational, energizing, and incredibly FUN... you’re close. 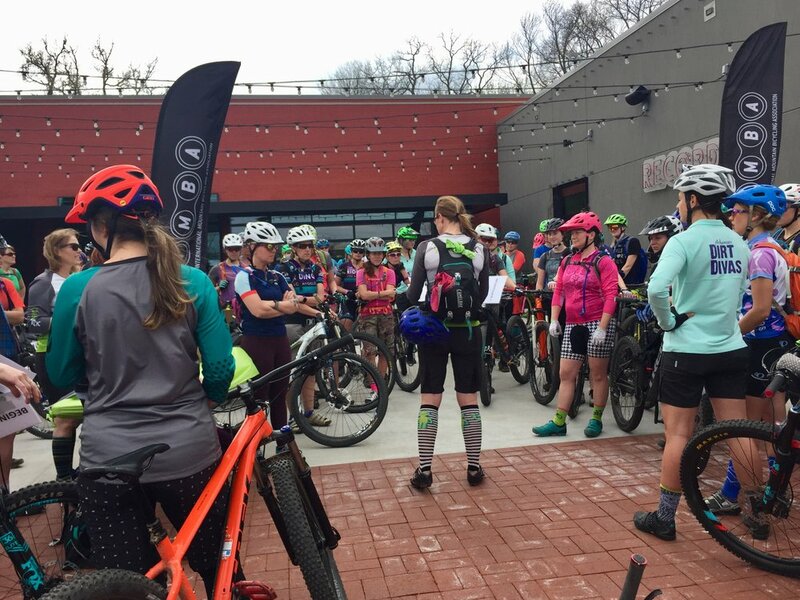 On March 22nd, IMBA (International Mountain Bicycling Association) hosted their first women’s focused event, UPRISING, in Bentonville, Arkansas. The purpose: Understand how IMBA can be a resource for female mountain bikers who want to be involved and grow the sport in their communities. Aimee Ross, the event organizer and IMBA’s Brand Development Director, asked me to join in on the fun and be the closing speaker. My focus was to find recurring themes in the conversations and presentations at UPRISING and compare them with my own career experience that focused on growing women’s cycling from the helm of one of the industry’s largest bicycle brands. Turns out that task was a great way to flex my observation muscles, watch, listen, and learn from our most impactful and influential mountain bike leaders. How do you Ride / Build / Learn / Engage? What keeps you from Riding / Building / Learning / Engaging? What do you dream of Riding / Building / Learning / Engaging? As you can imagine, the conversation was lively, the energy was potent, and these women had dynamic contributions to make. If the industry is wondering “what women want” IMBA has a stack of answers. The next morning, Rebecca Rusch gave a powerful keynote titled, ReBEL with a Cause, cleverly creating the acronym "ReBEL" from IMBA's four pillars Ride-Build-Engage-Learn. After Rebecca’s inspirational kickoff, UPRISING guests were given a choice to take one of two tracks throughout the day for presentations on Ride, Build, Engage, and Learn. Throughout this first day, we heard from women who built, grew or organized mountain biking in their community. Check out the power-packed line-up here and watch a Facebook Live presentation here on Leadership, Connection, and Momentum by Lisa Mattis, President & CEO of Can Do Multiple Sclerosis. By 3:00 we were geared up to ride the IN-CRED-IBLE trails of Bentonville led by Girls Rock ride leaders and organizers. The evening ended with a showing of Rebecca Rusch’s latest movie, Blood Road. I highly recommend you watch it with a full box of tissues. Saturday morning kicked off with a panel of community leaders hosted by Lisa Mattis. The panel included a wide array of experts, from former pro-racer, Kelli Emmett, to Visit Bentonville's, Kalene Griffith. Their overarching message was to recognize how many folks are in your community who can help you, seek them out, and form a partnership. Following this panel, Dr. Jennifer Boldry, Director of Research at People For Bikes, shared data supporting the strong economic impact mountain biking has on communities. She wasn’t able to give us all the juicy details at the time, but lucky for you, People for Bikes has since released this report showing the economic impact cycling has had on Northwest Arkansas in its entirety. Mountain Bikes certainly do mean business! As I listened to the presentations and prepared my talk I realized how each and every effort made in growing women’s mountain biking has continuously built off the last. At 6 a.m. Saturday morning I created a timeline to show how far we’ve come and how much momentum we’ve gained, particularly in the last 8 years. Women's MTB timeline above the greenline, my roles below. Apologies if any milestones were missed. I realized how much my contributions were possible thanks to the leaders before me. One experience that was particularly important for me personally was the SRAM Technical University (STU) event SRAM hosted in 2015. SRAM gathered female product and brand managers from the bike industry to learn at STU and ride together in Colorado Springs. It's clear, brands like SRAM (who now have a dedicated role focused on marketing to women) have consistently prioritized the women's market by launching new products and sponsoring athletes, coaches, clinics, and events. The women that were on stage at UPRISING were trailblazing a path for future leaders (many of whom were in the audience) and they did that because others had set out on a path before them. I saw new leaders taking the lead and building off the work we've all done. This realization, along with the awesome people I met and stories they shared, made for an incredibly gratifying and rewarding weekend. So, how have we manifested this momentum over the last 20 years? What advice did I hear from the women leading the way? And most importantly, what’s next? I did my best to coalesce all of this into the talk I gave, titled Ride Your Line. Your strength is your unique perspective. This is especially important for women in the bike industry. I love you bike industry, but you often lack a women’s point of view, especially at the decision-making table. As an industry, we have a ripe opportunity to grow in understanding the women’s market as a diverse and dynamic group, not as a single user group. Just like guys, one option does not fit all. Wendy Engelberg, Founder of Girlz Gone Riding, said: “Have a really loud voice”. 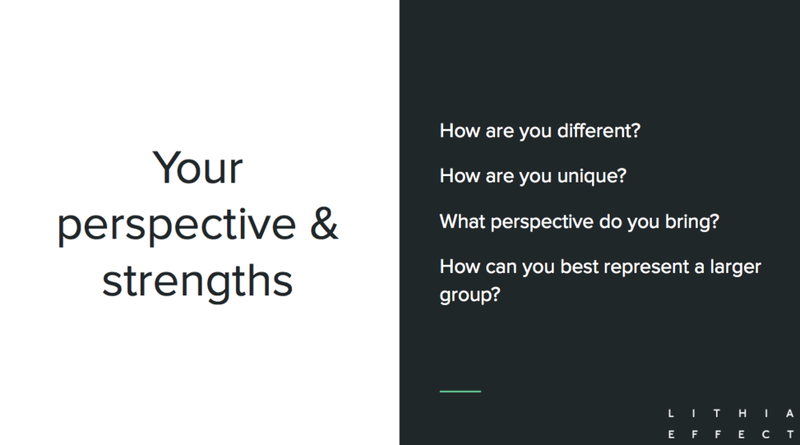 Use your perspective for good and contribute to the conversation when asked for feedback about what you want or how you’d like to see the product, events, or services meet your needs. If you don't see someone else filling that need, take a queue from Wendy and fill the need yourself! We all encounter obstacles. In life, just like in mountain biking the more we can understand them and flow around them, the more enjoyable the ride. When you work to change the status quo, there are plenty of obstacles, one of the most heart wrenching I came across is how women are treated at all levels within the bike industry. Everything from blatant sexism (delivered from both men and women) to subtle setbacks. I frequently heard the story of women wanting to learn how to be a bike mechanic would have the wrench literally taken out of their hand and they'd be encouraged to staff the coffee bar or cash register. The trick for me was to be motivated by these stories, but not let them distract me. Once I learned to focus on what I could control, I became more productive and much less stressed. Ash Bocast, Founder of This is Roam, told a story from when she was a demo driver: “I organized an overnight retreat for women, sold it out, and then I told my boss.” Ash's boss may not have objected to her initiative, but there were legal hoops to jump through that would have stood in the way of filling this need to create riding experiences beyond clinics. This first retreat was the prototype. Whether or not Ash realized it at the time, she understood the obstacles and rode around them to create Roam Festivals and Roam Retreats, a sweet company providing awesome mountain bike riding experiences for women. This is a big one and really the whole point of bringing 140 women together. My biggest contribution to the bike industry thus far came from leveraging untapped potential of women in bike shops. Through both the Trek Women’s Advocate program and the Trek Certified Service Scholarships, we gave women in bike shops the additional ammo to do what they always wanted to do–contribute! These programs helped females in the industry contribute even more by growing their technical skill sets and setting up an infrastructure to grow ridership and get more women on more bikes more often! Sandra Marticio, President, Colorado Mountain Bike Association (COMBA), said, “I don’t build trails...I build relationships. I build trust. I build opportunity.” When we think of IMBA and “build” we think of trails. We’re so fortunate that there are some awesome people building trails in Bentonville and all around the county, but there’s another side to build that’s equally important--relationships. We need to continue to build trails, but we also need to build bridges and relationships with other trail users to protect the trails and trail use we already have. Throughout the two days of UPRISING, the audience listened to a lot of strategies and tactics and by the time I presented, we were pretty charged up with all the things we could do. I asked the audience: WHY? Why did they come to IMBA UPRISING? Some said they were curious, some felt they could better contribute to growing mountain biking in their community, but in essence, they came to meet awesome women who ride mountain bikes–check!–and to learn–check! So, how can we take these new learnings and relationships and DO SOMETHING? Paired with someone they didn’t know I asked them to share this action item and answer three questions in relation to their action item. How is your perspective unique? What are your strengths? What are your obstacles? What challenges do you expect? 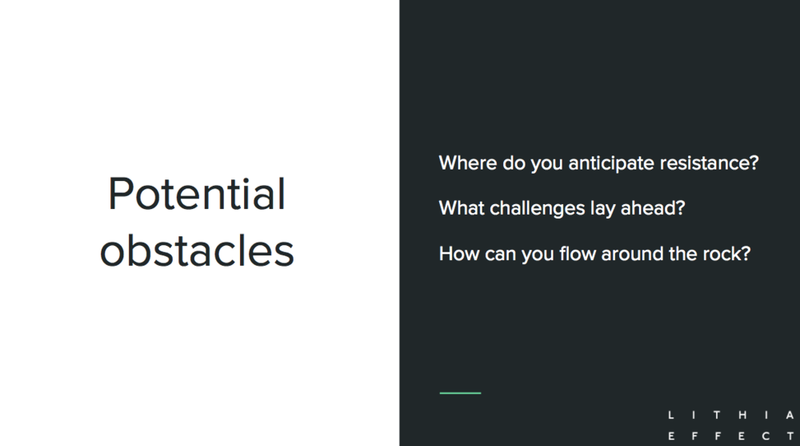 Where can you leverage untapped potential? 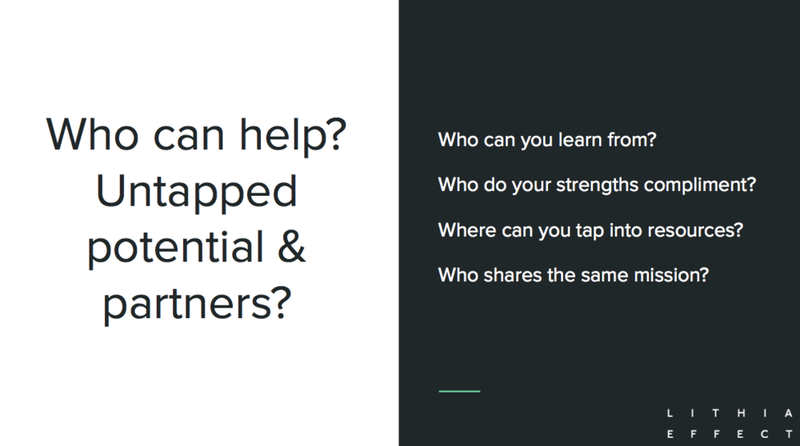 Who can you partner with? Who can help? If anyone is wondering, this is a receipt for PURE FUEL: Spend 1.5 days inspiring women about something they care about, let them go out and do that thing with 140 other women on one of the country’s best trail systems, and then give them the chance to tell each other what they are going to do to improve it. It was a wildfire of positivity! It was one of those sessions where you could feel the energy in the room. When people ask me what is my favorite part of my job... it's this. Exactly this right here when you can see intentions being set and growth of our sport sprouting out of the fertile ground. The response was overwhelmingly positive. The opportunity to interact with each other and hear ideas on what they were about to go home and do was the highlight for many, it certainly was for me. There’s a lot that goes into creating an event like this. The women at IMBA: Aimee Ross, Katherine Fuller, Chris Schieffer, Tiffany Beal, and Lori Livingston should all be extremely proud of the inaugural IMBA Women’s UPRISING. With their event, they charged up a group of women stoked about all things mountain bike and motivated them to make a difference in their communities. For more proof check out these instagram links: @imba_us, @lithiaeffect, and #imbaUPRISING. One of the stories from Rebecca's keynote that resonated most with me was what is possible when you point out an opportunity to someone and they unexpectedly ask you, "What do YOU want to do about it?" The women who attended UPRISING are answering that in their own way, they are riding their line and leading the charge in this next round of growth for women’s mountain biking. And I am super excited to see where they take us! Want to learn more about how I can help you or your organization develop brand strategies that lift underserved or often ignored markets? Let's talk.